In this edition: As diplomatic tensions build between Canada and China, Alberta taps the brakes on a trade mission to China and Saskatchewan feels the heat over Huawei. Also, the largest hydroponic factory in China takes root, an electric vehicle start-up revs up, and we dive deep into China’s state-led industrial policy, Made in China 2025. Most of the China-Canada coverage was dominated by the diplomatic tension between the two countries that started with the arrest of Huawei CFO Meng (Sabrina) Wanzhou for extradition on request of the United States authorities. There’s been a lot of political maneuvering, which reached a fever pitch this weekend when Prime Minister Trudeau fired the Canadian ambassador to China, John McCallum, for twice making comments on the legal case facing Meng Wanzhou. The Chinese government is upset by the move. The deputy head of mission at the Embassy of Canada in Beijing, Jim Nickel, is acting as his replacement. 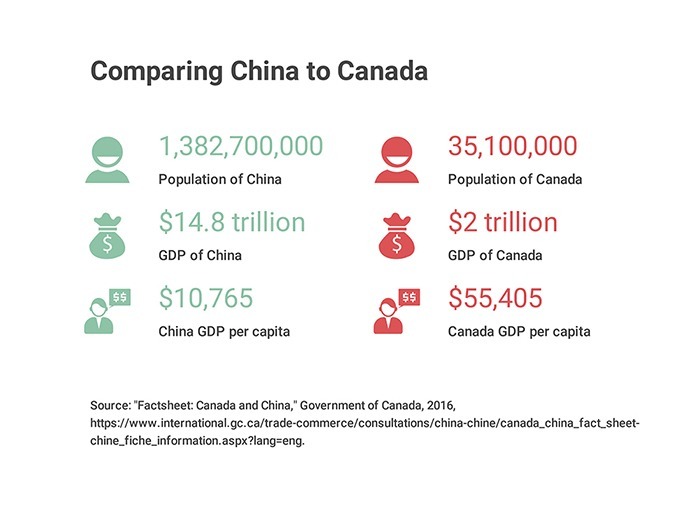 • Alberta Economic Development and Trade Minister Deron Bilous said the Alberta government trade mission to China is “unlikely to proceed in March as planned.” Bilous cited the high tensions between Canada and China as the cause. • SaskTel’s relationship with Huawei has come under fire – SaskTel has paid the company nearly $164 million since 2010 for its equipment. • This article cites concerns that not only may the current dispute with China impact B.C. tourism revenue, but it may also affect businesses in B.C. that cater to Canadians travelling to China. • While other sectors are worried about trade with China, B.C. lumber is looking to stay close to China. Lumber producers are worried about the U.S. housing market and American tariffs on softwood. • There is speculation that the tension with China will negatively impact Canada’s canola exports. So far, there is only speculation, no evidence. For recaps on the dispute, check out the last two China Briefs. • At an international trade conference, former Premier Brad Wall said that, while it’s understandable for Canadians to be worried about the relationship with China, they should also be “realistically hopeful,” citing as an example the approval of new canola traits by China (see the last China Brief for more on that). A new section! Highlighting the work that the China team at CWF has been doing. Trade Policy Economist Sharon Zhengyang Sun just released a briefing note called “Strong Signals: China’s changing trade direction and what it means for Canada.” The policy brief is a deep dive into how China’s state-led industrial policy – Made in China 2025 – will affect Canada’s, and particularly Western Canada’s, trade with China. • Canada Goose tumbles the most in 11 months after downgrade on value. Part of the problem is the risks that the company faces in China – it just started to expand in the country around the same time as the arrest of Huawei CFO Meng Wanzhou. • While other sectors are worried about trade with China, B.C. lumber is looking to stay close to China. The lumber producers are worried about the U.S. housing market and American tariffs on softwood. • This piece argues that many countries employ similar methods as to what is in China’s industrial policy — China’s is just particularly effective. • A new book, Claws of the Panda, by Jonathan Manthorpe, argues that the Chinese communist party has spent decades infiltrating Canada in order to impact Canadian decision-making. The book ultimately argues that Canada should take a stronger stand with China. • One political party in Canada has declared that it no longer wants free trade in China – the relatively newly formed People’s Party of Canada, led by Maxime Bernier. • This piece wonders what Canada should do next with China – a few “understated, Canadian-style tactics” are offered: delaying making a decision on Huawei as long as possible; do what is possible to expedite extradition of Meng Wanzhou; pressure allies to shame China’s flouting of the rule of law; continue to talk to China to rebuild confidence. • JD and Mitsubishi have joined forces to open the largest hydroponic factory in China (hydroponics is a method of growing plants without soil, instead using minerals-laced water solvent). • The spread of African swine flu in China continues – a large industrialized farm (with the best protections against disease) has announced that it has been infected with the disease. There has been little progress in containing the disease, despite Chinese government claims to the contrary. • The massive oil company BP is investing between $1 million and $5 million in a Chinese start-up called PowerShare, which has technology that directs drivers of electric vehicles to charging points and helps them use power more efficiently. This is part of a global trend of oil and gas companies diversifying into electric vehicles. 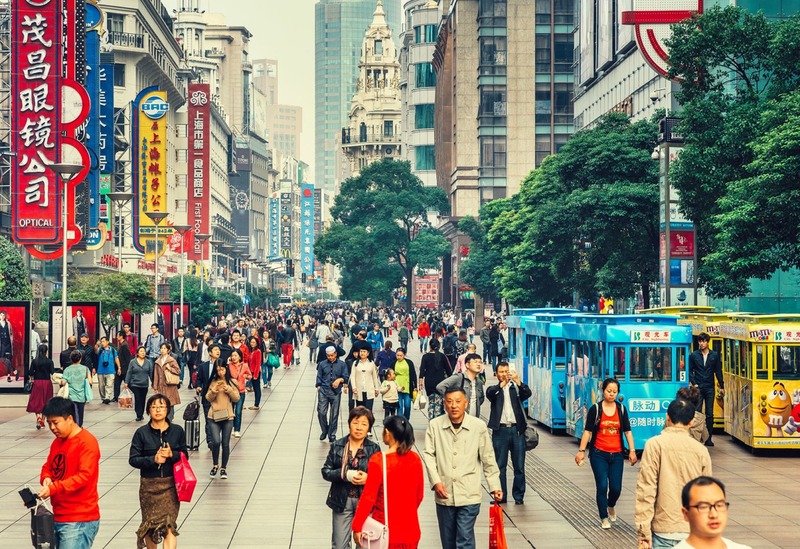 • This piece argues that China will lead the renewable energy “revolution,” but being an energy leader in renewables will not be as powerful as being an energy leader in non-renewables. “Moon sprouts: one small step for cotton, one giant step for China,” (Fort Saskatchewan Record, January 15) – China has started successfully growing cotton on the moon. Despite the US-China trade war, a record 15 US National Basketball Association clubs will celebrate Chinese New Year starting January 30 with in-arena activities and more than 65 games broadcast live in China. I’d like to thank everyone who participated in the survey in the last Brief. I’m sorting through your responses, and I’m so pleased that many of you took the time to give detailed responses. Thank you so much! And I didn’t even have to bribe anyone. – Sarah Pittman, policy analyst. The China Brief is a compilation of stories and links related to China and its relationship with Canada’s West. The opinions expressed in the links are those of the articles’ authors and don’t necessarily reflect the views of the Canada West Foundation and our affiliates.